Forming Chi in place provides the Energy Worker the ability to use the energy in a repeatable, predictable fashion. The Healing Power from Chi Energy in essence, has become a tool. As the old saying goes: “The right tool for the right job”. Blobs, as it turns out, are generally only useful for B grade Sci-Fi and horror movies. Real tools, real forms, are for real applications. How does chi get formed? With the mind – our thoughts are able to mold the bio photons and hold the image of that which we want them to be and as such, affect the outcome through visualization. Our ability to anticipate and expect the behavior of the photons is very similar to the famous Double Slit Experiment – our expectations affect and influence the outcome of the behavior of the photons. Forming chi is child’s play; this is not a euphemism. Forming chi into a specific, repeatable shape through visualization is something that is terribly easy and amazingly difficult – depending on what you believe and how much you believe. Again, think back to the double slit experiment: your expectations determine the outcome of the behavior of the photon. Through repeated practice, we can train ourselves what to expect and what we believe will happen. The specific of shape is not the focus of this article – that is something reserved for those actively enrolled in the School. For this discussion, we would like to take this opportunity to introduce the concept of the atomic trap. Our repository is full of documentation, reference materials and articles pointing to the importance of temperature control. The role temperature plays in energy development, biophotonic manipulation, is critical and often missed in traditional chi gung. Cooling the energy allows the subatomic particles to clump together into larger particles and, at the same time, creates the conditions through which when formed into a specific shape, the biophotons will remain in place. Enter the atomic trap. Atomic traps are techniques physicists use when manipulating cooled atoms that would otherwise fall prey to gravitational forces. These subatomic particles would bounce around and lose their form, attracted by the gravity exerted by all the matter of our universe, including those forming the biophotons and whatever is around us. This would do us little benefit when working so diligently to mold the biophotons into a form. Interestingly enough, the mechanisms through which we form and cool the energy, along with the very nature of the biophotons, lends itself to the creation of atomic traps. In this discussion, we will take note of one particular atomic trap through which many quantum experiments are performed. This atomic trap is also curiously similar to method involved in forming biophotons. The magnetic optical trap, MOT, uses magnetic fields to hold the atoms in place and lasers to cool the temperature of the atoms. Most who have performed the “palm test” have felt the magnetic field between the hands, similar to pointing like poles of a magnet towards each other. As noted in many of our articles, human beings give off electrical signals – hence the reason magnetic scanning and imaging technologies used in hospitals and security systems work. Visualizing the biophotons taking a particular shape creates a laser effect; each line acting as the boundary/outline of the form is in effect a laser. Using the transference techniques taught in the Chi Energy Cultivation Method provides the correct attributes of the energy, thus cooling the temperature of the lasers, and assisting in the development of the form. 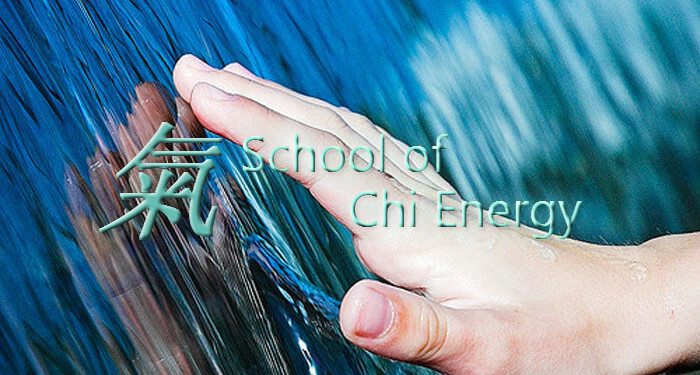 Visit our School of Chi Energy FAQ to learn more. In the interim: enjoy the journey.